When we say our Acoustic Textiles have been 3rd party tested to perform like they should, what does that mean? In this post we will investigate how our Acoustic Textiles are tested and what those numbers mean. Sure, you can use the "blow through" test to see if a fabric will work acoustically, but if data and science is what you're after, you need a more exact test to tell whether a fabric is appropriate. When the acoustic performance of a space really matters, you don’t want to hobble sound-absorbing panels, walls and ceilings by choosing the wrong finishes. That would be an expensive mistake. 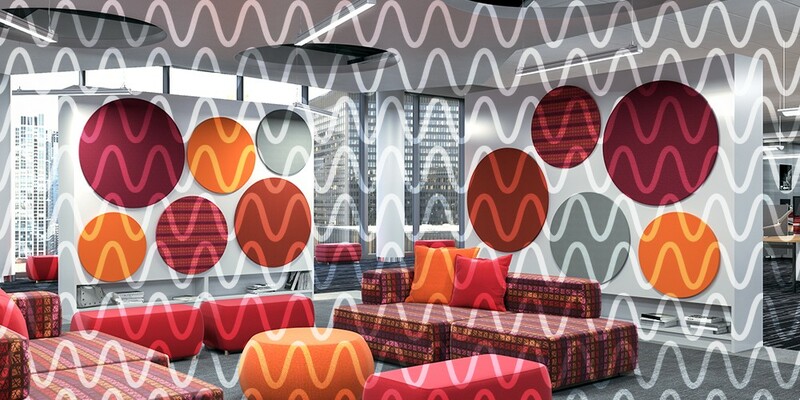 In situations where acoustic performance is critical, a fabric’s job is not to absorb sound itself, but to allow sound absorbing products behind the fabric to do their best work (see image below). The fabric should never impede, or reflect sound, before it can travel to the absorbing product behind it. All surfaces, fabrics included, reflect sound waves to some extent. The least reflective products work the best as finishes for acoustic applications. Now that we know what we are looking for in a fabric, how do we test whether or not it's acoustically sound? The test is an Impedence Tube Test (ISO 10534-2). Don't let words like impedence or anechoic termination scare you. It's a pretty straight forward process. Sound is directed through the fabric and into an Anechoic Termination, which is basically a fancy way of saying "the place where no sound can escape". It's like a black hole for sound in that no sound is reflected back off of the anechoic termination. 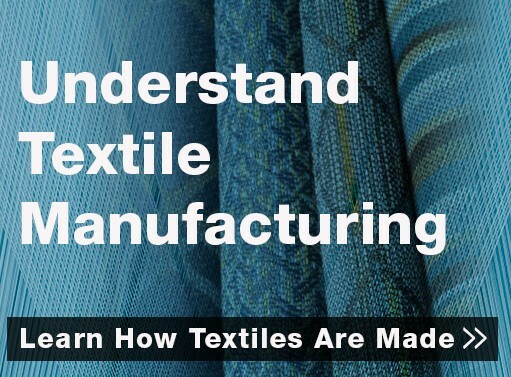 Because fabrics are tested using a standard anechoic end-point, rather than a specific manufacturer’s sound-absorbing product, this test allows fabrics to be tested on their own merit, giving you more meaningful data for making decisions. The amount of sound that goes through the fabric is measured, resulting in a number between 0 — a highly sound reflective surface, to 1 — a surface that the sound entirely goes through. This number is called the NRC (noise reduction coefficient) rating. With NRC numbers, the higher the number, the greater the sound absorption, and the better it is for acoustically sensitive settings. All 50+ patterns of our Acoustic Textiles collection have an NRC of .85 or higher. This means that an average of 85%, and typically 90% or 95% for most patterns, of sound passes right through the fabric. Which is exactly what you want.